An amazing zoom on the Mandelbox made with Mandelbulb 3D v1.53 and VirtualDub. 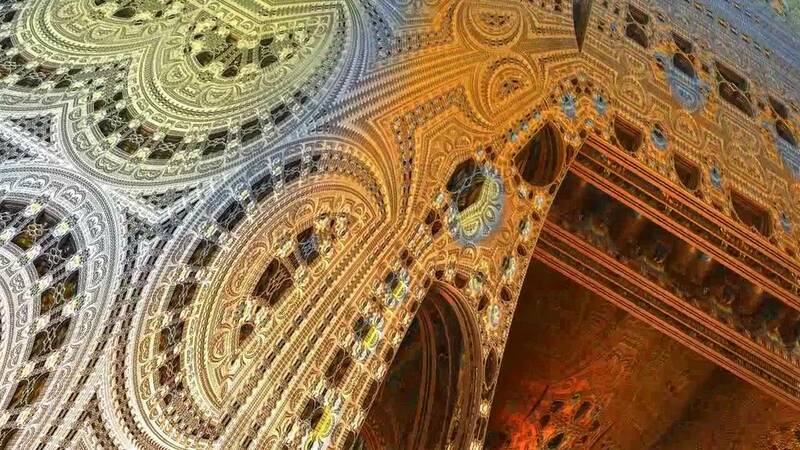 In mathematics, the mandelbox is a fractal with a boxlike shape found by Tom Lowe in 2010. It is defined in a similar way to the famous Mandelbrot set as the values of a parameter such that the origin does not escape to infinity under iteration of certain geometrical transformations. The mandelbox is defined as a map of continuous Julia sets, but, unlike the Mandelbrot set, can be defined in any number of dimensions. Here, c is the constant being tested, and scale is a real number.